​In a supplemental draft with star-studded talent, the Washington Redskins felt it was necessary to use a pick on an up-and-coming player in Adonis Alexander. 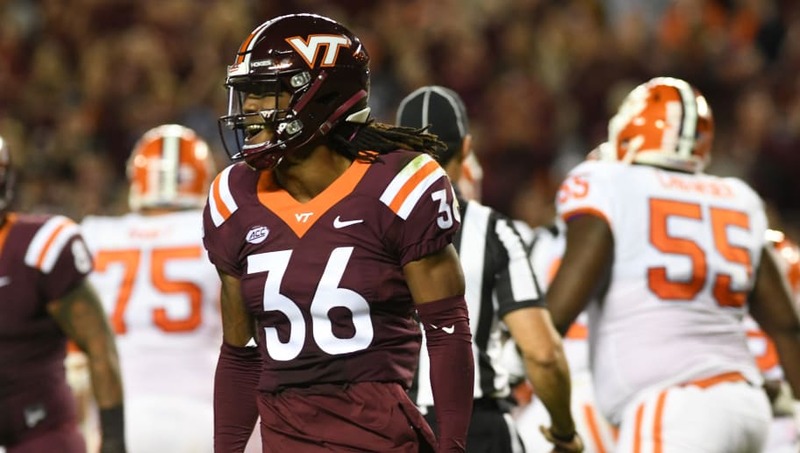 The Redskins selected Adonis Alexander from Virginia Tech in the 6th round of the draft, meaning they'll have to forfeit a 6th round pick in the 2019 NFL Draft. Alexander had to enter the 2018 NFL Supplemental Draft due to academic reasons. He had ​flunked out of school and the team told him he could not play until 2019, prompting him to leave. If he had kept his grades up, Alexander was a ​candidate to be an early round selection in next year's draft, but due to the circumstances, he had to take a different route. On the eve of NFL’s supplemental draft, teams received a clean drug test from Va Tech DB Adonis Alexander taken this week. They’d already received notice he’d passed tests over the last eight months. Alexander intent on proving marijuana arrest from 2016 was an isolated incident. ​​The clean drug test should be a sigh of relief for Redskins fans, considering he was suspended two games last year for marijuana use. Alexander owned up to the failed drug test and bad grades, showing the Redskins he was mature and worthy of a draft selection. The next step? Getting Alexander into camp and seeing what he can really do.